DesignCell Architecture is pleased to announce our new interior design service. Led by Cinthy Stauss, a multi-skilled and innovative interior designer with nearly two decades of experience in the hospitality and commercial industry, our in-house design team will work side-by-side with our project managers, architects, engineers and construction staff to provide a coordinated, integrated service that brings our clients’ brands to life. Cinthy and her team will work closely with clients to understand their objectives and brand requirements in order to provide a conceptual design that encompasses the client’s unique style while remaining functional for the business. Working closely with the DesignCell project team, she will follow the project through completion to ensure that all brand requirements and stylistic objectives are met. The first hospitality project for Cinthy is a Marriott Residence Inn in Brea, California. 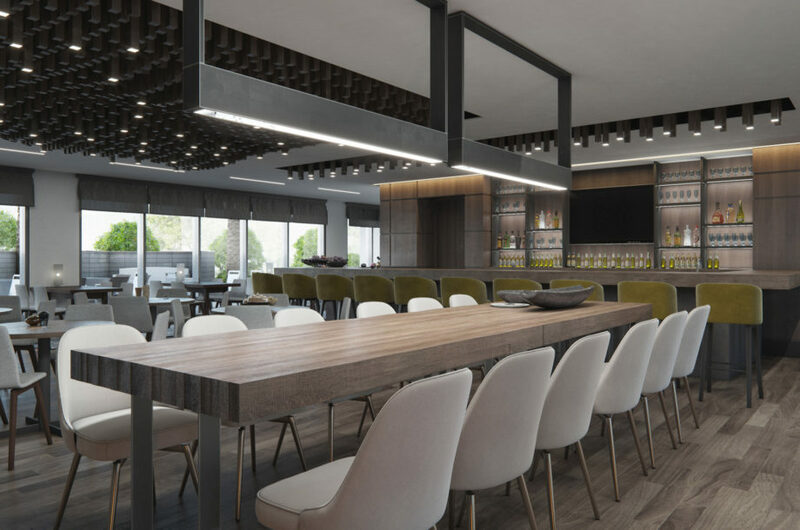 Cinthy will bring her creative vision to the five-story, 138-room hotel which will feature a custom layout with porte-cochere, expanded meeting facilities, full bar, and a restaurant with extended seating on an outdoor patio near the pool. DesignCell has an extensive design resume in the hospitality, multi-family and commercial sectors. Known for our unique, innovative designs, we pay attention to every detail, including layout and materials, in order to provide clients with functional spaces that correspond to their unique brands and visions. We are excited to expand our design services to better serve our clients.